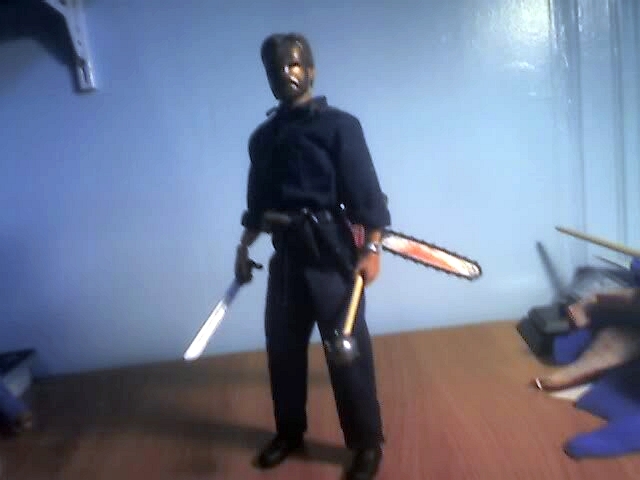 Found this over at the One Sixth Warrior forum, certainly a horror custom you don't see everyday! The film is finally being re-released on DVD on June 29th with the extras of the previous out of print and insanely expensive Sub Rosa disc (studio link here). In the trailer below the mental patient that sticks a grenade in his mouth is Killing Spree's Asbestos Felt. If you have Netflix On Demand, it's available to watch. Never heard of this movie, thanks for the link.